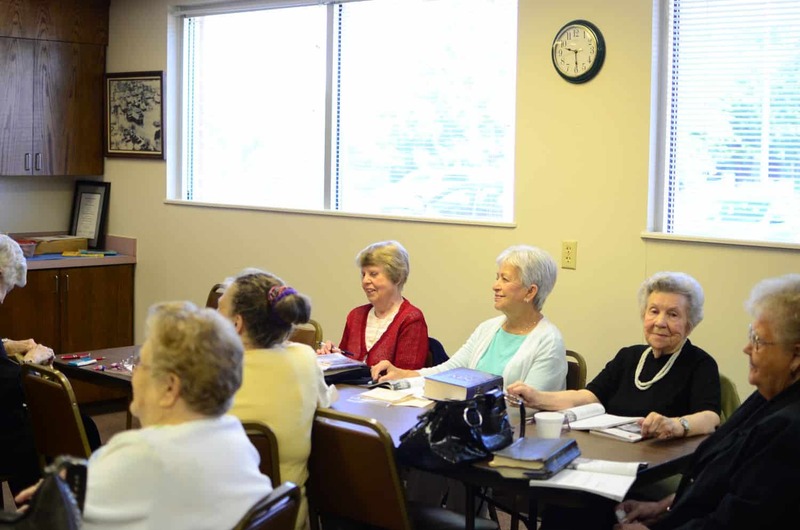 Women on Mission- Ladies of all ages meet at church on the second Tuesday of each month at 5:30 pm. for mission study, prayer, fellowship, and mission action projects. These projects include sending care packages to college students and those in the military, collecting school supplies and supporting the Pregnancy Support Center and the Free Store here in Lebanon, MO. For more information contact: Mary Ann Randall at 588-1498. Celebrating life’s milestones together is an important part of our ministry. If you would like to take part in giving a shower or helping with one, or would like to serve on the shower committee, please contact Cathy Offutt at 417-350-2401. Small group Bible studies by Beth Moore and others are hosted on a weekly basis two to three times a year with both daytime and evening times available. More details can be found in information hallway. You can also connect with other women through trips to conferences such as Fresh Grounded Faith with Jennifer Rothchild.